Mix red velvet brownies with vanilla icing until well combined (should be moist). Roll mixture into balls and place onto cookie sheet. Freeze for 45 minutes to 1 hour. Melt white chocolate in sauce pan over low-medium heat, stirring constantly until all but a few chunks of chocolate are melted. Remove from heat and continue to stir until final chunks have melted. 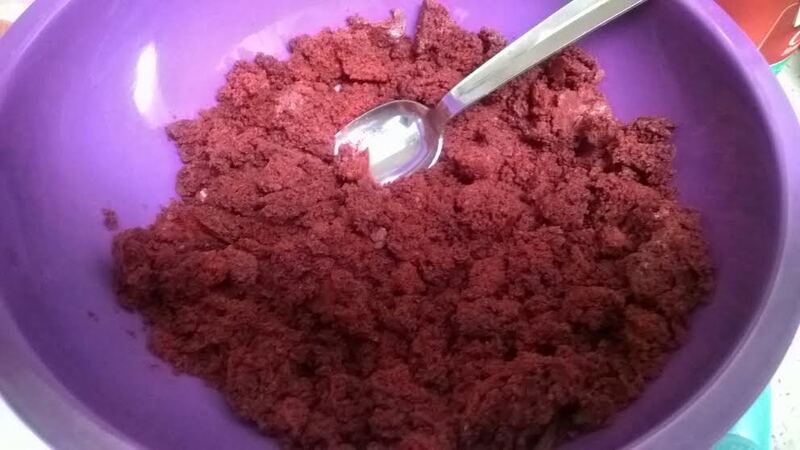 Using a toothpick (or two spoons), dip red velvet mixture into the chocolate. Place chocolate-dipped truffles into the freezer for 30 minutes or until chocolate has set. Repeat steps 3-5 using milk chocolate.